Wireless keyboard lets you control your computer from a distance of several meters. This is particularly helpful if a computing machine connected to the monitor and to the TV. If the receiver is a wireless keyboard designed to connect to the PS/2 connector, proceed with its connection when the computer is off. The receiver is designed to work with the USB interface, you can connect a "hot" way, but on machines with old BIOS versions it may not work in DOS. Note that any wireless keyboard is able to work only in conjunction with a receiver designed especially for her. Receiver keyboard from another model might not fit. If the keyboard uses the infrared channel of communication, align it with the receiver is not required. Just charge the batteries or install the batteries (depending on model), then aim the transmitter to the receiver. 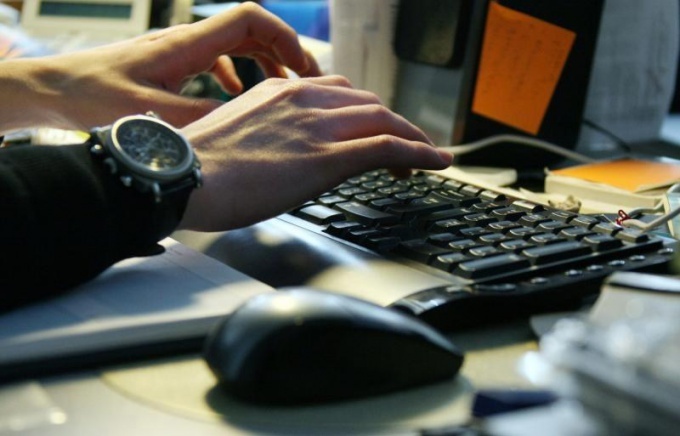 Check whether the computer responds to keystrokes. Remember that simultaneous operation of two identical infrared keyboards in the same room impossible. A wireless keyboardthat uses a radio, coordinate with the receiver in the following way. Click on the receiver button miniature button, then the led will begin to blink. Then click this tiny button on the keyboard. The led on the receiver stops flashing. 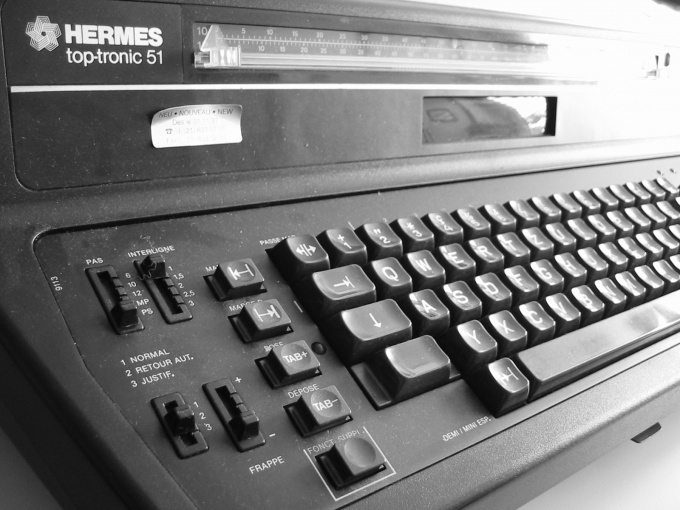 Now the keyboard and the receiver agreed, and since then, the computer will respond to key presses on that keyboard. Because of this, in the same room can work multiple keyboards with the same radio channel, each of which is agreed in advance with "their" receiver. If the keyboard has a switch, so it consumes higher current in the standby mode. Turn it off during breaks in work. When using a keyboard, using the radio, remember that data passed to it, it is easy to intercept. And infrared channel can be monitored using the photodiode, the charge of the binoculars (although the probability of this is extremely small). Therefore, never use any wireless keyboard to enter passwords and other confidential data. However, the computer running as a media centre, for the input of such data is usually not applied. Every year more and more people acquire the ability to evaluate the usability and computer control with wireless devices. In fact, besides the lack of wires that extend from the system unit, wireless device and give comfort. For example, when you connect a wireless keyboard, you can control the computer while sitting on your sofa a few meters away from him. Additionally, the set may include batteries. If your kit is not provided, please purchase them in advance. Quite often you can see a set of wireless keyboard which includes a mouse. However, the equipment depends on the manufacturer and the prices of the devices. But in any case to connect a wireless keyboard and mouse, you will have to do the same steps. Insert the driver disk into the drive of the computer. If autorun is not started, open the disk with Windows Explorer and run the install drivers manually. For this search the disk for executable files with the names "Setup.exe" or "Install.exe". Start them now. Plug the wireless adapter into the USB port. Often the adapters has a small diode that lights up when connected to the computer, signaling, thus, about the successful connection. Insert the batteries into the wireless keyboard. Sometimes the design of the device, an additional switch, often located on the back side. Place the switch in the "ON"position. The computer will display a message about detecting a new device. Automatically will search and install drivers for the keyboard. After that, the wireless keyboard can be used. Rarely, you may need to restart the computer. Some versions of the motherboard BIOS have the ability to recognize signals of a wireless USB keyboard immediately after turning on the computer. Making the appropriate BIOS setting, you can use the keyboard without waiting for loading the operating system, as well as in cases when it is necessary to restore the health of the computer from under DOS. For convenience, the computer control can be performed with the keyboard and manipulating the mouse. And if the keyboard commands do not change its basic functions, the buttons of the mouse can be adjusted. To adjust the buttons on the mouse to change the standard settings, go to the corresponding program. Open the "start menu" and select "control Panel". You will see labels for all interfaces on the computer. Choose "Mouse": click on it twice with the left button. Before you manage menu of the mouse. By default, the standard button functions: the left is designed to highlight the characters, dragging them, and to open programs. The right button opens a menu of additional tasks that you can perform with the selected object. 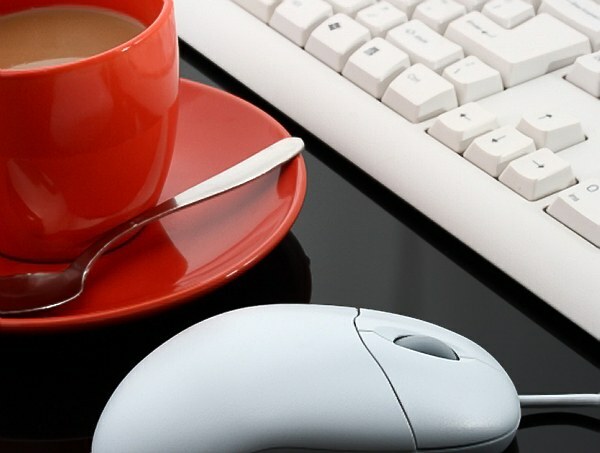 This arrangement of commands is convenient for those who work with mouse right hand. If you are left handed, you can easily change the value of the main buttons, putting the box "switch primary and secondary buttons". This feature is adjustable in the Configuration of the buttons of the mouse". Set the desired command, confirm your action by clicking "Apply" and "OK". In the Buttons section of the mouse" you can set the controls according to your preferences. Select the speed at which double-clicking will open the folder. Adjusting the position of the pointer between "above" and "below", before you open the markup, select optimal speed open the folder and click "OK". To check the convenience settings you can in the same control window, clicking on the virtual folder located next to the markup. Enable the stuck mouseif you don't want to click on a folder at work. One the cursor is on the required label will highlight it and clicking the left button will open the folder or activates a program. If your mouse has an extra button, use it to replace the double click with the left button of the mouse. To adjust the speed of movement of the cursor in the section "pointer Options" in the control menu of the mouse. Adjust the position of the pointer on the layout of the speed between "above" and "below". Click "Apply" and "OK" by selecting a convenient rate for you. 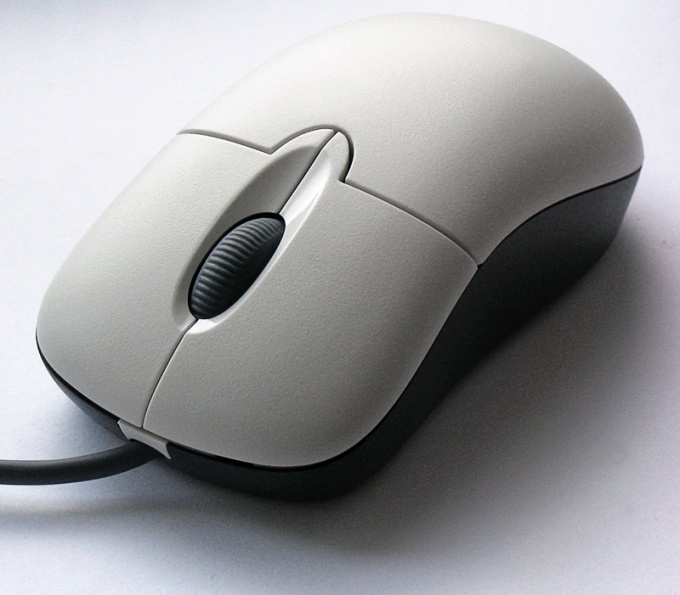 Mouse – a device by which the user can interact with objects on the computer: to open, move, edit, delete. Each button of the mouse its purpose. By default, the primary button is considered the left it open folder, run a program, features. Right button – auxiliary, it is used to quickly perform tasks. These settings can be changed. To change the buttons on the mouse, call the properties window of the mouse. To do this through the "start menu" open "control Panel". If link on "control Panel" is not displayed in the start menu, click in an empty part of the taskbar (bottom of screen) right click and select menu "Properties" - opens the dialog "Properties of the taskbar and start menu". Opening the "control Panel", select "Printers and other hardware" and click the "Mouse". If the panel is in classic view, just select the desired icon. Opens the dialog box "properties of: Mouse". Navigate in this window to the tab "mouse Button". In the "button Configuration," select the marker in the "switch primary and secondary buttons". The new settings will take effect immediately. All subsequent steps are already complete, right-click, and as auxiliary use left. Click the "Apply" button, right-click and close the properties window by clicking the OK button or by clicking on the x in the upper right corner of the window. If you want to change the buttons, open the window "properties of: Mouse" as described in the third step and just remove the marker from the marked fields. Confirm new settings by clicking on the "Apply" button, close the window. Modern computer games have long gone beyond the plane of the monitors. Thanks to special equipment and devices the player is given the chance to dive into the gaming world. 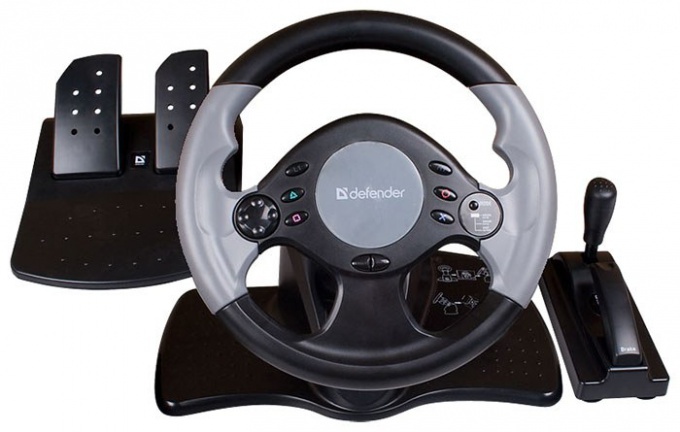 One such device is the wheel of the Defender, guarantees almost real simulation of driving. Install the wheel on a flat and smooth surface is not too close to the edge. Press lightly on the steering wheel for better attachment of suction cups to the surface. Position on the floor pedal and connect them with a cable included in the package. Not yet installed the required software, do not connect the wheel to the computer. Install the accompanying device drivers on the computer. If a driver disk is attached to the steering wheel when you purchase, use them. Insert the disc in the drive and wait for on screen Windows install the drivers. Run the program setup.exe. Follow the onscreen prompts during installation. If supplied with the device disk driver no, download from the official site www.defender.ru. Open the menu "Gaming device" section "wheels". Select the model of your steering wheel click on it and under the picture click the "Download driver and software". Install the software on your computer. Connect the steering wheel Defender to the computer using cable. On the steering wheel should turn the color of indicator, indicating the device is connected. Check the operation of the steering wheel in the "control Panel" (section "Game controllers"). In the column "Status" should be the inscription "O/S". If not, plug in the wheel again. Click right-click and select "Properties". Next, press the pedal and buttons on the steering wheel several times lock to lock the steering wheel, check the switches. In the Windows Test Axis and Hat Switch should occur the corresponding movement of the cursor on the screen and you should see those buttons that you press. If after connecting to the computer on the handlebar does not turn on the indicator normal works, it is recommended that you restart the computer. If a reboot doesn't help, try the wheel on another computer. In that case, if the wheel doesn't work not only on your PCs but also on other, contact technical support to resolve this issue. If you have connected a keyboard Defender to your computer, we can say that half the job done. All that remains is to make small adjustments for comfort. If the keyboard is multimedia, the purpose of some buttons may seem uncomfortable. Do not worth it, so as to configure the keyboard much easier than the USB controller in the BIOS E.
If you need to adjust the cursor blink rate, repeat rate, input character or the delay before repeat – just go to standard settings: start – control Panel – keyboard. In the opened window, in the tab "Speed" will be those items and the result of settings you can check in real time in a special field. To save the settings, click OK. Tab "Equipment" needed to operate the driver information and for technical information. If you are a beginner, modify the parameters in this tab is not recommended. 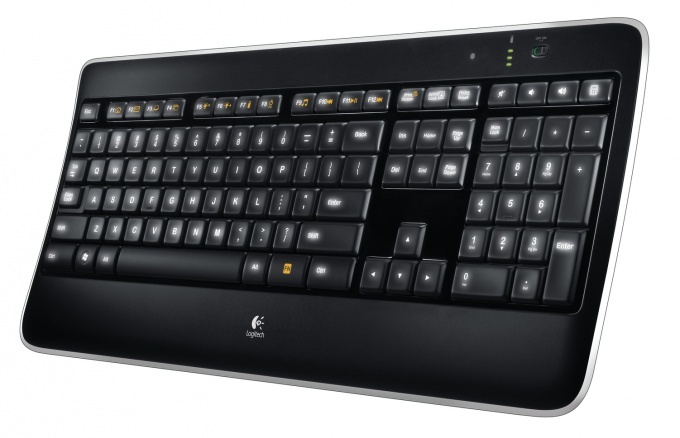 To configure the multimedia keys you'll need special software firm Defender that came with your keyboard. You need to set it when it installed the driver and software. The desktop icon should appear keyboard. Click it, a window opens with the program's interface containing multiple tabs (depending on your keyboard model and version). The first tab Keys (Keys/Buttons) allows you to configure multimedia keys. On your button you can set any action – from launching a mp3 file to your favorite game. If you want to apply settings – press OK (Accept/Save). The other tabs are needed for other settings, for example to display the Caps Lock state in system tray. If you need to change these settings – don't go into other tabs. If keyboard Defender was not the disk with the program you can free download universal Media Key (or any similar). In the program window in the tab "Buttons", click the "Add" and specify the button or key combination you will use, and then associate them with the launch of the applications you need. In programs such as Media Key, you can customize the media keys, but standard. To save the changes - click on the icon of a floppy disk. To adjust the work program, go to the tab "Settings".